It was Shakespeare who mused, “What’s in a name? That which we call a rose by any other name would smell as sweet.” This sentiment can be applied to our recent category name change from “Continuing Care Retirement Community” to “Life Plan Community.” While it’s true that this update better describes our way of life here at Homestead Village, nothing has fundamentally changed about the way we approach our deep commitment to our residents or our community’s overall structure. But what is a Life Plan Community and why did industry leaders feel the need to make a shift? If the rose smells sweet no matter what it’s called, couldn’t we have just left well enough alone? The truth is, the face of retirement is changing with the times. Leading Age is a national organization of non-profit senior services. After years of research and focus group studies, their findings were that the old terminology no longer expressed the active nature of the communities. We don’t merely provide passive care, but support a lively population of residents and extended community members who plan for and look forward to the wide range of services we offer here at Homestead Village. The term “Continuing Care Retirement Community” never really captured the true spirit of Homestead Village, but as generations shift in retirement, it’s also become very clear how different residents are today. They are active, they are socially responsible, care about giving back to the world around them, and are lifetime learners who crave opportunities for enrichment. The term “Life Plan Community” speaks more to how we respond to and encourage those traits. Homestead Village has long been dedicated to making life in retirement fun and exciting, as well as helping our residents open up to new experiences, and now we’re more publicly expressing that active and engaged outlook. Much like the residents of Life Plan Communities, the name change from Continuing Care Retirement Community was thoughtful and thorough. Although it may seem that switch was sudden, planning the new name actually took about two years and involved many focus groups and surveys. You may have even been asked to give feedback! In the end, Life Plan Community became the new name because it’s easy to remember and aspirational – it encourages residents to never stop dreaming in life. As the Life Plan Community movement takes hold across the United States, the focus is changing from providing care to expressing the fact that communities like Homestead Village promote smart planning and carefree living at the same time. This still means excellent care is always available, but it also means lots of choices for current and future residents in terms of how they prefer to live. For the Life Plan Community label to apply, several different living options for residents with different care needs or even no current care needs must be available. Fully residential living at campus residences like The Farmstead, Villa Court, or The Mews. Apartment living with or without 24-hour-a-day staffing to provide personal care services. A home-like skilled nursing experience at the Apostles Center for Care. Home care services for residents at Homestead Village, or members of our extended community who are not residents today. Since the Continuing Care Retirement Community label did not include the fact that Homestead Village hosts events for the broader Lancaster community, nor did it speak to our residents’ involvement in volunteerism, both on and off campus, something needed to change. The words “life” and “community” make it clear that everyone at Homestead Village is living in a larger world than that within our property boundaries. We are helpful, good neighbors setting a positive example in Lancaster, which in turn attracts new members to our community. People are inspired by what we do here and want to get involved. As we already touched on, our Life Plan Community here at Homestead Village offers a wide range of living options for residents. And with that comes a full spectrum of care options, too. Strong, industry-leading care at a variety of levels is still very much at the heart of what Life Plan Communities do even though the word “care” no longer appears in our category name. Personal care, skilled nursing, and even home care services have long been offered, and we are expanding our memory support services with the opening of Harvest House Memory Support Center this fall. Choosing to live in a Life Plan Community is an intentional choice that smart individuals and couples make. Now, getting the most from retirement is about joining an active adult community with the knowledge that they will be cared for, by professionals, right at home or just next door, no matter their need. When they no longer want to bother with the hassles of home maintenance or the worry of burdening friends and family if personal care is required, they plan to make a move that will supersize their happiness in life! Homestead Village is proud to be leading the charge in innovative retirement living, but we’re still also proud of our strong heritage and values. 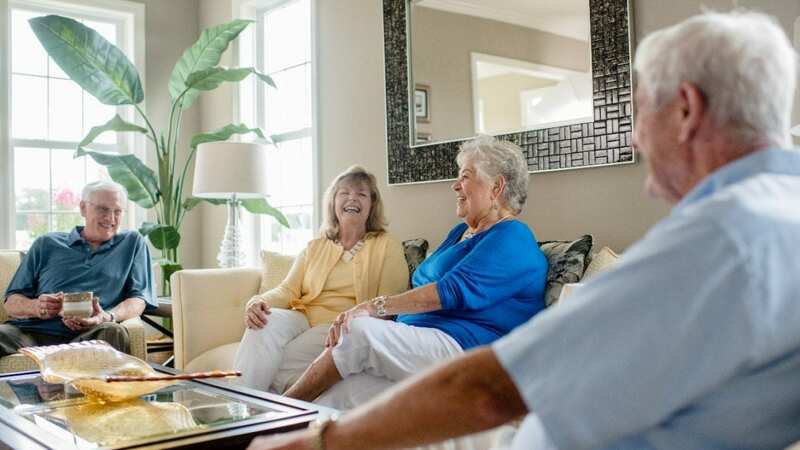 Part of that heritage is our place as a forward-thinking retirement community that always seeks to bring the best care and the richest life possible for our residents and community members. Want to join our compassionate, engaged, and active community here in Lancaster, PA? Get in touch today to schedule a campus tour and see how our Life Plan Community can enhance your life in retirement.